« Two Games Remaining – Let’s Go Browns! Cleveland Browns Head Coach Pat Shurmur, may have secured the 'Least Likely to Succeed as an NFL Head Coach' Award today - before halftime. Immediately following the Browns – Ravens fiasco today, I flipped it to the Arizona and Cincinnati game just in time to watch Early Doucet fall flat on his rear as he was wide-open in the end zone with his team down seven points late in the fourth quarter. Understand that while this Browns team is 4-11, they could just as easily be 1-14. On the flipside of that, they, much like the Bengals, could just as easily be in the playoff talk if the ball bounces their way on an occasion this season. Nevertheless, we’re stuck with a 4-11 team and a top five pick in the upcoming draft. That’s the problem in Cleveland. Pat Shurmur is quick to point out his team’s flaws, and talk about how a drop here, or a drop there, or a missed tackle on this drive, or that drive, could’ve changed the game. Rarely do you ever hear Shurmur admit his mistakes in front of the press, and his arrogant ego won’t let him do so. For much of the season it has appeared that Shurmur is in way over his head; taking on the offensive play-calling duties, as well as the head coaching responsibilities. Still, Mike Holmgren has given Shurmur his vote of confidence, stating that he expects Pat to be around for a long – long – time. Holmgren was on hand for today’s game in Baltimore, and he’s going to have a tough time defending his ol’ buddy Pat after today’s pitiful coaching performance. Shurmur’s shortcomings as a (potential) head coach in the NFL have been clear to everyone but Holmgren. Time-after-time, Shurmur has deflected all the criticism towards his players. All those 4th Quarter collapses have been Colt McCoy’s fault, or the offensive-line’s. Maybe in those other games the players deserve much of the credit, but so has Shurmur. Today, was all Shurmur. Shurmur’s inefficiencies as a head coach, a new phrase is circling among the Browns faithful to describe the unexplainable – ‘Shurmur’ed’. What it’s mean? Well it’s best to use an example., and there’s a few from today’s game that will suffice. On team’s first series of the game on offense, the Browns looked phenomenal. Peyton Hillis, who continues to run with the determination to end the season on a high note, was carving the Ravens highly touted defense, picking up huge chunks of yardage on each touch. Facing a 3rd & 1 from Baltimore’s side of the field, Shurmur calls a pass-play. The result? ‘Shurmur’ed’ Seneca Wallace throws an INT that would later lead to the Ravens first score of the game. Let’s try this one. Just before halftime, the Browns once again showed life on offense. Thanks to a pass interference call against Baltimore, the Browns had the ball down inside the Ravens 10-yard line. With less than a minute remaining, and the team trailing 17-0, Shurmur called the team’s final timeout; presumably to go over what the next few plays would be. With less than :20 seconds remaining in the half, Shurmur calmly signals a sure-fire touchdown play to end the half. Instead, the Browns get ‘Shurmur’ed’, as the league’s best offensive-mind calls for a run play. Yes, a run play against the Baltimore Ravens, with less than :10 seconds to go before halftime, and zero timeouts. Those two plays single handedly cost the Browns the game, though Shurmur will tell you differently. Thanks to their defense and Joshua Cribbs, the Browns quickly found themselves right back in the game after tailing 20-0 for much of the game. 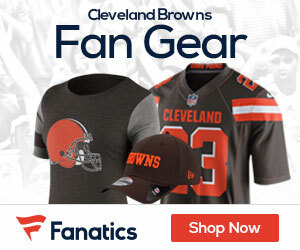 In the 3rd Quarter, Josh Cribbs returned a punt 85 yards for a touchdown to put the Browns on the board. After Sheldon Brown picked-off a Joe Flacco pass in the end zone, Wallace marched the Browns offense 80 yards down the field, where he found Evan Moore in the end zone to cut the lead to 20-14. On 4th & 5 with about 4:00 to go, Shurmur decided to go for it from their own 45-yard line. When Hillis was stopped short of the first down, the game was put in the hands of the Browns’ defense. On 4th & 2, Joe Flacco’s plan to draw the defense offside worked to perfection, as rookie defensive tackle Phil Taylor jumped, giving the Ravens the first down, and the game. Cleveland’s defense kept the Ravens’ offense in check for much of the game. Ray Rice was held out of the end zone on the ground, though he was able to score on a 42-yard touchdown reception. Joe Flacco looked average against the Browns ‘D’, and threw the lone interception to Brown. Up next for the Browns is Pittsburgh. Maybe they can start 2012 with a win, or at least avoid being ‘Shurmur’ed’.